Constant screaming and shouting at home makes a child feel that yelling is a normal and acceptable behaviour. Since childhood is a very impressionable phase, a child develops his behavior based on what he sees around. Yelling is quite a common thing for many parents who lose their patience too soon and end up screaming at their kids. Such parents, however, do not realize the impact of their unreasonable behavior on kids. 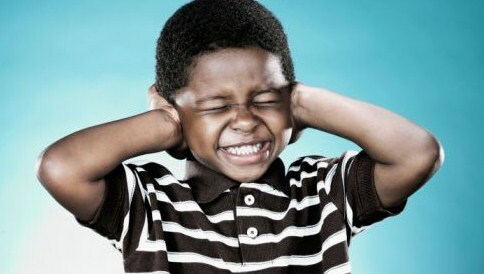 Research shows that yelling at children can lead to detrimental and long lasting consequences. As a parent, you need to understand how your behavior affects your child and why you should stop yelling and start parenting. First of all, yelling at your kid does not serve any purpose whatsoever. If you are frustrated because your child is not listening to you, you need to know that screaming at him/her will not change anything. Further, it might lead to a negative reaction and soon turn into a conflict. Constant screaming and shouting at home makes a child feel that yelling is a normal and acceptable behavior. Since childhood is a very impressionable phase, a child develops his behaviour based on what he sees around. As he grows up, he might not understand why yelling is not an acceptable response and why dealing with a problem calmly is the best option. If you are finding it difficult to stay calm while disciplining your child, you should step away until you are calm. Your impulsive rage will have severe consequences without resolving the problem. Once you are calm, you should talk to your child and make him/her understand why his/her behavior is not right. In certain cases, professional help and assistance from friends and family can prevent the problem from spiraling out of control. You can talk to friends with kids to learn how they parent their children without losing self-control. As a parent, it is essential for you to have patience, self-control and compassion to raise your kids properly. By yelling and losing your calm, you will end up distancing yourself from them. Towanna B. Freeman is the creator of BlackLifeCoaches.net. She is also a mother of two, community mentor, inspirational speaker, and author of Purposeful Action, 7 Steps to Fulfillment.